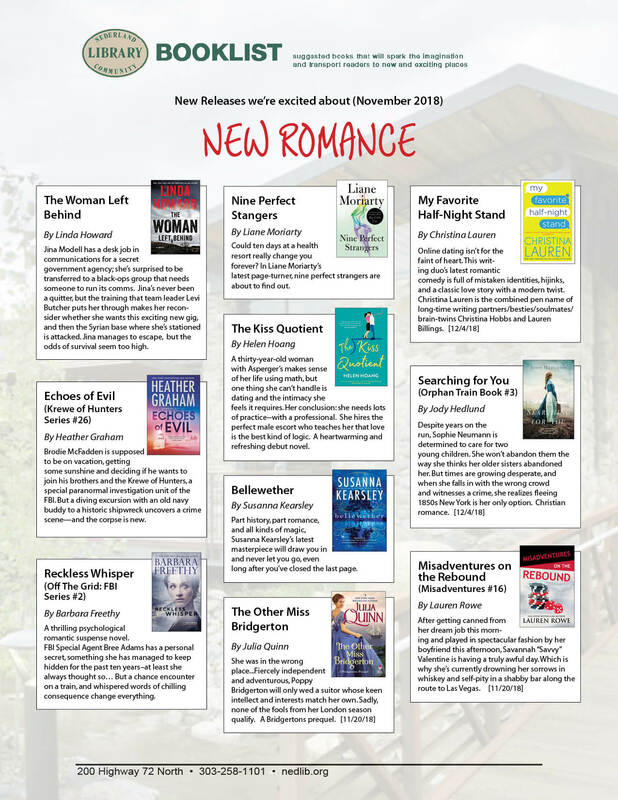 NEW RELEASES in Romance-- November 2018 new releases for every taste: Contemporary, Historical, Suspense, Paranormal, More. Noteworthy NEW RELEASES-- Young Adult and Juvenile Books for October-November 2018. 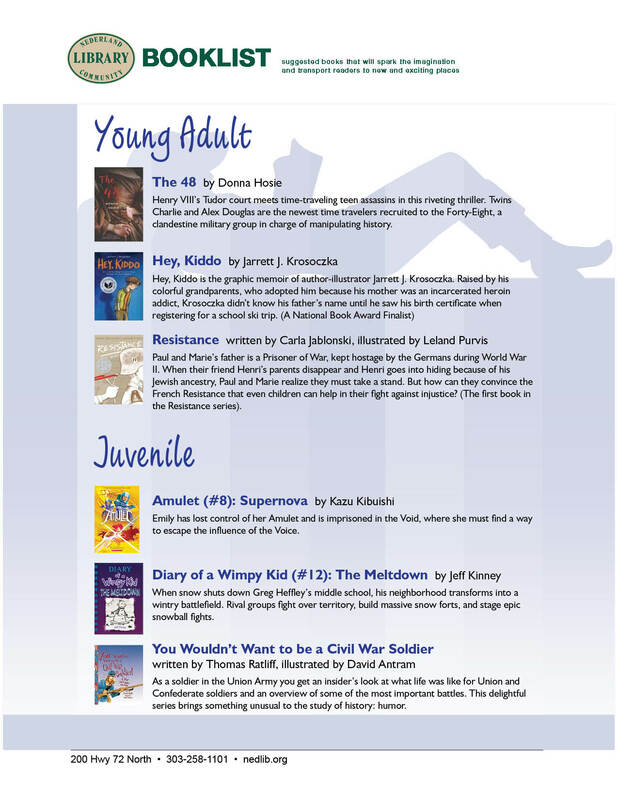 Try these new books suggested by our staff. 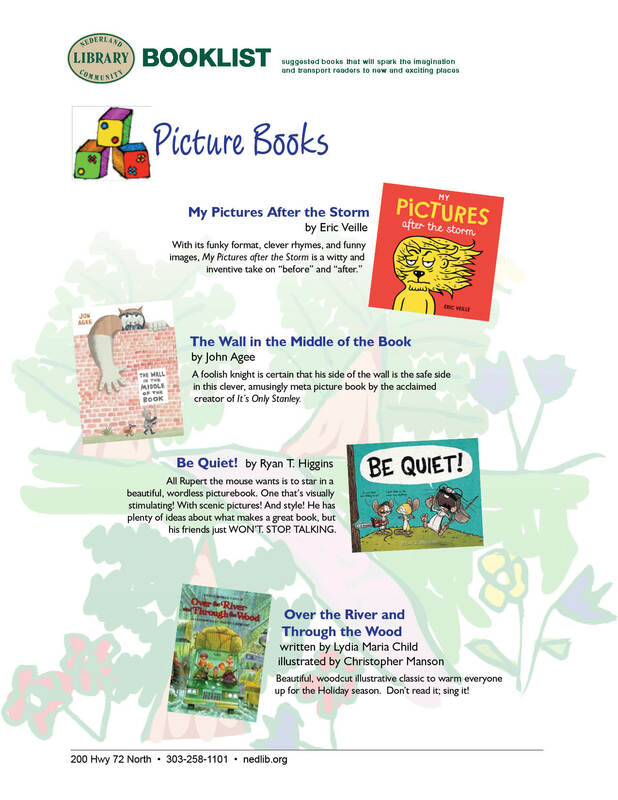 NEW PICTURE BOOKS for November 2018 Try these new and holiday books suggested by our staff. Quirky Quilters Tuesday, November 6 and December 4 10:30 - noon Join our quilting group led by long-time quilter Bette Ventrella.